I love Hybrid herbs and especially their mushroom complex. I appreciate the quality of the product as well as of the service and as a health coach I passionately recommend it to my friends and clients. Well done! When I first discovered Chinese mushroom extracts online I chose each in individual form. The health benefits are extraordinary in that they each contain numerous vitamins, minerals, and herbs including the clinically tested immune boosting ingredient Beta Glucan. 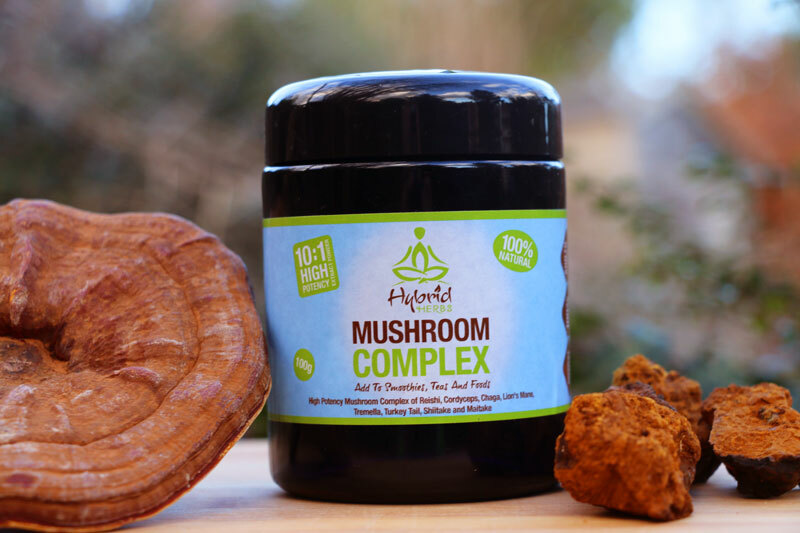 However, to get the maximum holistic benefit from the amalgam of these powerful, individual 10/1 mushroom extracts I have now chosen the Medicinal Complex which creates the multiple health benefits of all these mushrooms. 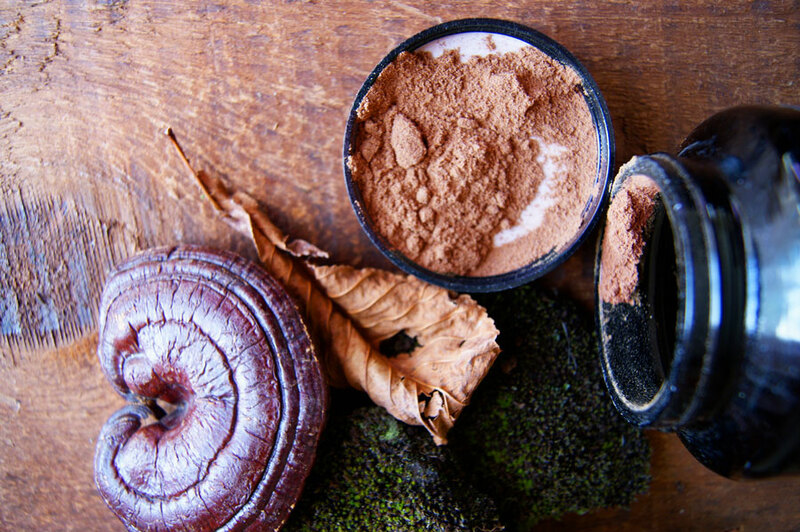 When taken together this mixture goes far beyond a healing energy tonic towards a foundational treatment for many serious or otherwise health issues. This product is the best. After researching and shopping around we found that hybrid herbs have the best quality mushroom products. I now buy the mushroom complex for 2 poorly friends to help them through recovery and buy it for me and my husband. From the moment I used this product I knew it was for me, I add it to my morning protein shake but its equally just as nice in a coffee, after the first sip my it feels like my brain switches on and Im ready for the day full of energy. This product hasn't been a life saver for both myself and many friends who it has been recommended to. They have come back with great feedback to me within 3 days of using it and have been converted for life. It is very hard to describe what it does as it is so subtle yet tangible at the same time. The first time it was drunk as a hot drink by myself it was after a deeply stressful moving of house. The moment it slid down my throat my heart sang and something inside me settled and calmed into a deep groundedness and connection to all that it. Have not stopped taking it since. Highly recommended!!! 5 STARS!!! Go on treat yourself for LIFE!! I've used about five jars of this now over a couple of years and - touch wood ( a nice fungus growing log ideally!) have not had one virus or infection, I know other companies use high quality, potent extracts but I’m not sure any match up to this amazing blend, with the other huge benefit of not being mixed with any other ingredients- no stevia, filler or fluffer whatsoever. This leaves the product free to be used in any potions or recipes you wish- sweet or savoury. I consume it daily in a cacao tonic made with coconut butter, cacao, cinnamon, tocotrienols and then also Hybrid herbs pine pollen, he shou wu, astragalus! It’s also good in miso based broths with garlic, ginger and maybe some spirulina or other green powders! This is a beautiful, powerful investment in your health and lasts for ages! Thanks team, you’re the best. This Mushroom Complex is a really good value product. For its all round medicinal benefits. The lovely and well designed jar which looks nice in the kitchen. I certainly felt better physically and mentally after adding this to my daily routine. There is an amazing earthy flavour from it which i love in my morning coffee. It calms the mind and raises the energy at the same time. Usually i make a tea with it and have one cup each day. Sometimes in the morning and other days in the evening. When i take it in the morning i feel refreshed and focused, but at the same time not hyperactive;) While i take it before bedtime it calms my nervs and let’s me sleep like a baby. I will definitely buy it again when it’s empty.